Keeping track with the advanced market development, we are manufacturing an optimum quality range of Non Stick Chapati Tawa. 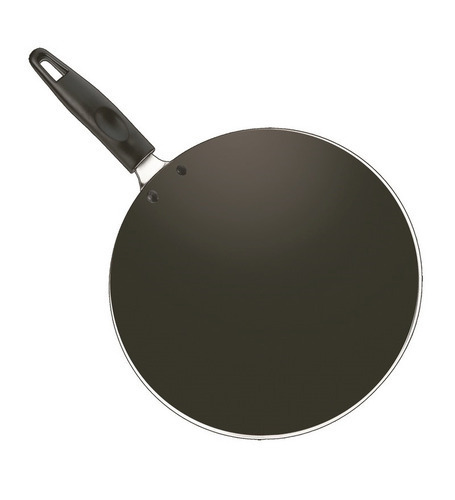 Established as a Sole Proprietorship firm in the year 2015 at Ahmedabad (Gujarat, India), we “Vinaykiya Industries” are recognized as the distinguished manufacturer of a wide-ranging Fry Pans, Appam Patra, Deep Kadai, Cookware Sets, Dosa Tawa, Non Stick Vagharia, Chapati Tawa, Vacuum Flask And Bottles, etc. These products are widely acclaimed for their features like durability, excellent heat conduction, high strength and fine finish. We sell these products under the brand name Cherilon, Swati and Galaxy. Under the worthy leadership of, “Mr. Uday Sharma” (MD), we have attained a noticeable position in this field.